Reasons & and 9 are pretty good. He's 57 years old today. New interview with Alex over at Rolling Stone today. 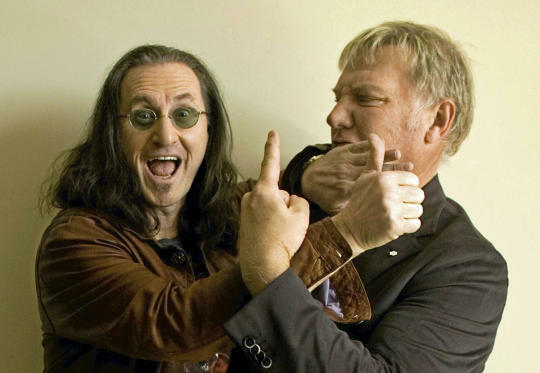 Lifeson says Rush hopes to finish recording during the fall in time for a release in the spring of 2011, followed by a more extensive world tour. Plus, 'Camera Eye' has been probably the top song on our request list from fans for several years, so it really gives us an opportunity to include it in the set and to present it with the full album." Brief interview about the documentary, upcoming tour, and new album over at Rolling Stone today. "We thought, 'How foolish are these guys?' " Rush frontman Geddy Lee says. "We're just this dull band. I remember Neil [Peart] asked them rather pointedly, 'What's your angle? What's the story you want to tell?' They said, 'Well, to be honest, we don't know.' We liked that and said, 'Good luck, let you know what you want us to do.' "
Good 15-minute interview with Geddy and Alex from earlier this week. Lots of talk about the documentary and their early history. A bunch of good questions are asked and answered. This page is an archive of recent posts in the Alex Lifeson category. 2010 Tour is the previous category. 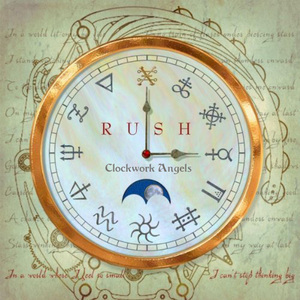 Clockwork Angels is the next category.